Youtube user N.I.John has uploaded a video of a Hyundai Styx (Hyundai QXi) test mule undergoing high-speed testing on an expressway. The Maruti Vitara Brezza-rivalling sub-Creta crossover will launch towards the end of Q1 2019. Previewed by the Hyundai HND-14 ‘Carlino' Concept, its aesthetics will follow the company's newest design theme whose highlights include a bolder iteration of the signature cascading grille and the 'Composite Light' setup. The new lighting sep includes LED DRLs at the hood level and a projector headlamp setup at a lower position. Thanks to them, the Hyundai Styx will have a connection with the new Santa Fe and Kona. In the side profile, the Hyundai Styx features a Creta-like silhouette with a similar C-pillar and roofline. As seen in the video, the beltline rises swiftly towards the rear, which is a feature that will stylize the 2019 Hyundai Grand i10. The posterior of the new model is expected to mirror that of the Creta to a large extent. Armando Cardoso, LATAM product specialist for Hyundai, has said that the Styx will ride on a new platform. The new model is expected to be sold with a range of petrol and diesel engine options. The Hyundai Styx will mark the debut of the 1.0-litre T-GDI turbocharged petrol engine in India. It outputs 118 bhp of maximum power. The diesel version should be propelled by the company's new 1.5-litre oil-burner, which is likely to output 115 bhp. The company could also offer a BSVI-compliant version of the 1.2-litre Kappa petrol engine for the lower variants and a 'Smart Auto' AMT option. The Hyundai Styx will be responsible for the local debut of the 1L T-GDI petrol and 1.5L diesel engines. 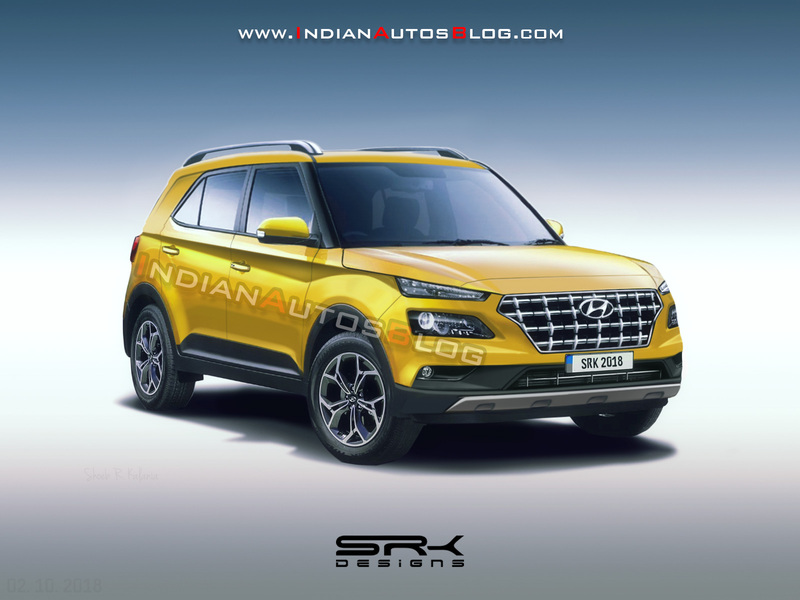 (Pictured - IAB's latest rendering of the new Maruti Vitara Brezza-rival). Prices of the Hyundai Styx are expected to start around INR 6.5 lakh. Other than the Vitara Brezza, it will lock horns with the Ford EcoSport, Tata Nexon, and Mahindra S201.